Takeaway: As humans look to colonize distant planets in our solar system and beyond, work has begun on figuring out a way to feed those willing to make the trip both during their travels and once settled. Lee Allen takes us closer to one program experimenting with controlled-environment growing for space travel. It’s all about Point A and Point B, staying alive while traveling massive distances and remaining alive once you reach your destination—say Mars or other as-yet-undiscovered sites in the solar system. According to the Universe Today, depending on orbital rotation, the average distance between Earth and Mars is approximately 140 million miles. Even traveling at well over 35,000 miles per hour, such a trip could take up to eight months. 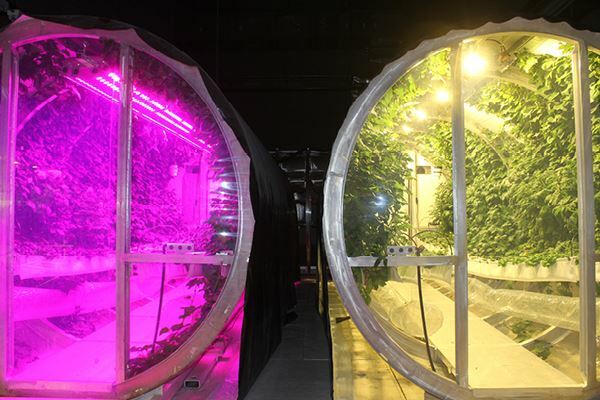 Hence, the need for the Mars-Lunar Greenhouse project at the University of Arizona’s Controlled Environment Agriculture Center in Tucson, a fully functional prototype greenhouse that has been growing crops for years under the auspices of a NASA Steckler Space Grant collaboration. The edibles—everything from strawberries to sweet potatoes, peanuts, and peppers—are of the type that could grow on a trip to the moon or the Red Planet. They’re housed inside a large cylinder that would ride along with either robots or astronauts on their extended journey. 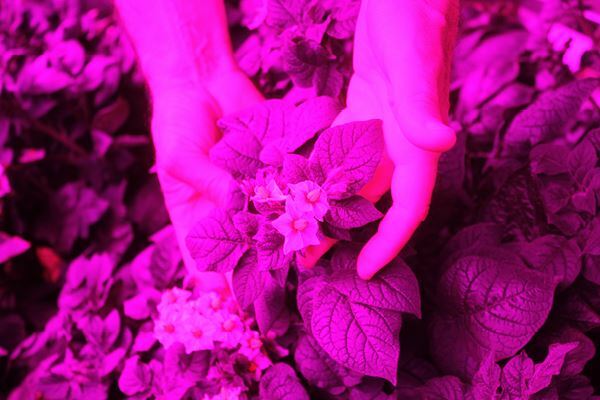 Because a hydroponic system and a controlled-environment grow area can provide yields of up to 10 times higher than an open field, feeding a crew of space explorers for months on end isn’t just science fiction. That kind of ingenuity is already being applied to earthbound applications, such as enhancing global food security and providing fresh, locally grown food to large urban centers. Or did. The grant funding was depleted at the end of September. “We’ve been cobbling money together piecemeal since 2000,” says Giacomelli. That’s when NASA considered about 20 proposals for grant funds and the CEAC Extreme Climate Laboratory received about $70,000 from the Ralph Steckler Space Grant Colonization Research and Technology Development program to get started. In Phase 2 funding, the University of Arizona made the short list for $250,000, with another $275,000 that followed in Phase III. The unit can be auto-deployed and tended to by a robot. It’s collapsible and stowable so it can be shipped, and in the distant future, be automatically deployed anywhere before human beings from this planet arrive to inhabit a distant land. Once landed, the unit would activate itself, inflate, and water would be turned on to start seeds sprouting. Sadler Machine Company built the lunar greenhouse. Phil Sadler is a veteran of prototype production, having previously built CEAC’s South Pole Growth Chamber, where many ideas used in the lunar greenhouse were developed. 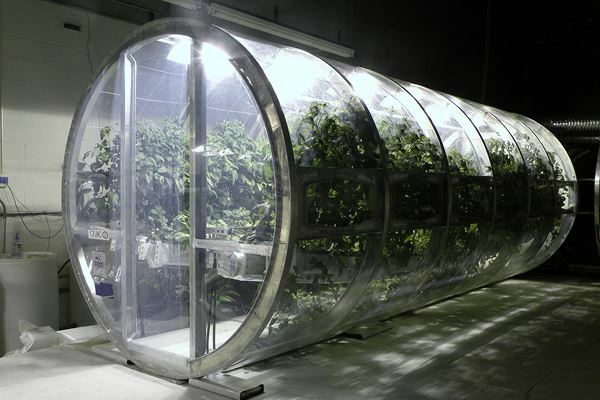 The South Pole grow structure supplies fresh food to the research station that is cut off from the outside world for half a year at a time, so production, recycling, and an efficient use of resources are just as important at the South Pole operation as they will be on other planets. The use-it-up-and-then-use-it-again concept is imperative. For instance, a dozen 1,000W sodium vapor lights generate a lot of heat, which can then be siphoned away by each lamp’s cooling system and used to heat the station. Their goal is to minimize labor needs, reduce resource use, and recycle everything to operate as efficiently as possible. 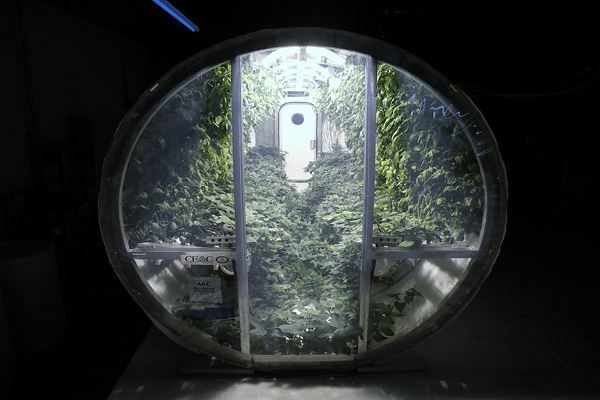 The lunar greenhouse contains about 220 pounds of wet plant material that provides several dozen quarts of potable water and close to a pound of oxygen during a 24-hour period. There are many lessons learned, including, surprisingly, an “aha!” moment involving esthetics more than pure science. 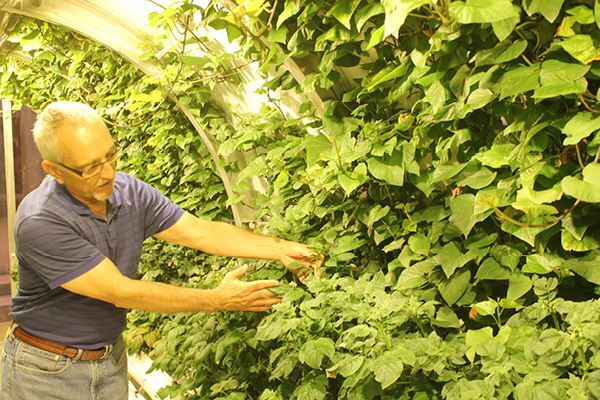 “Our greenhouse validated the importance of fresh vegetable colors that can’t be duplicated and the effects of a green plant or a ruby red fruit, like a tomato or a strawberry, for people living and working in an extreme environment such as space,” Giacomelli says. With good science developed over the life of the Mars-Lunar Greenhouse Project and so many questions remaining to be answered, it seems a shame to just power it down and let the plants shrivel. But that’s one potential reality. “Do we just give up?” asks Giacomelli. “I don’t think so. We may not move ahead the way NASA had wanted us to, but we still have a large-scale laboratory for others who have ideas on how to improve such a system. We know how to stretch dollars, so it’s not like we’re disappearing completely. We’ve got Band-Aids we can apply to keep the lights and power on, like a small grant from Philips Lighting Company to put their LEDs in the chamber, but if we have to shut down, major reconstructive surgery would have to await further funding. “Turning things off today would be like setbacks in the mid-1990s, where it took 15 to 20 years for groups to start to put the pieces back together again. We created a whole operational system that is in jeopardy of continuation in the short term because there’s no one stepping forward to pick up that ball,” says Giacomelli. Even as the LED and high pressure sodium lamps are being turned down to dim in the Arizona desert lab, similar programs are underway elsewhere in the world. Giacomelli is an advisor to the German Space Agency EDEN greenhouse project (a part of the European Space Agency) for a demonstration Mars-Lunar structure being constructed in the extreme environment of Antarctica where a researcher will live there for a year starting in January to further demonstrate the viability of such a food production unit. “These researchers will be using technology we developed during our grant,” he says. That technology is expected to also play a part in the European Space Agency’s project in Spain where they have also put together a closed food production facility. Food and the future are also center stage in China where four students are already living in something called the Lunar Palace. Lee Allen is an award-winning reporter of both electronic and print media. He is also a struggling backyard gardener.